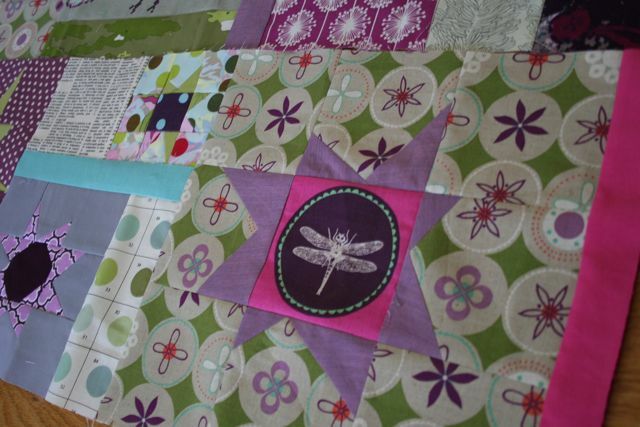 This super-sneak preview is of Ryan’s quilt for the Bee bee–I’ve just added my row and shipped it off to Amber so she can add hers for March. 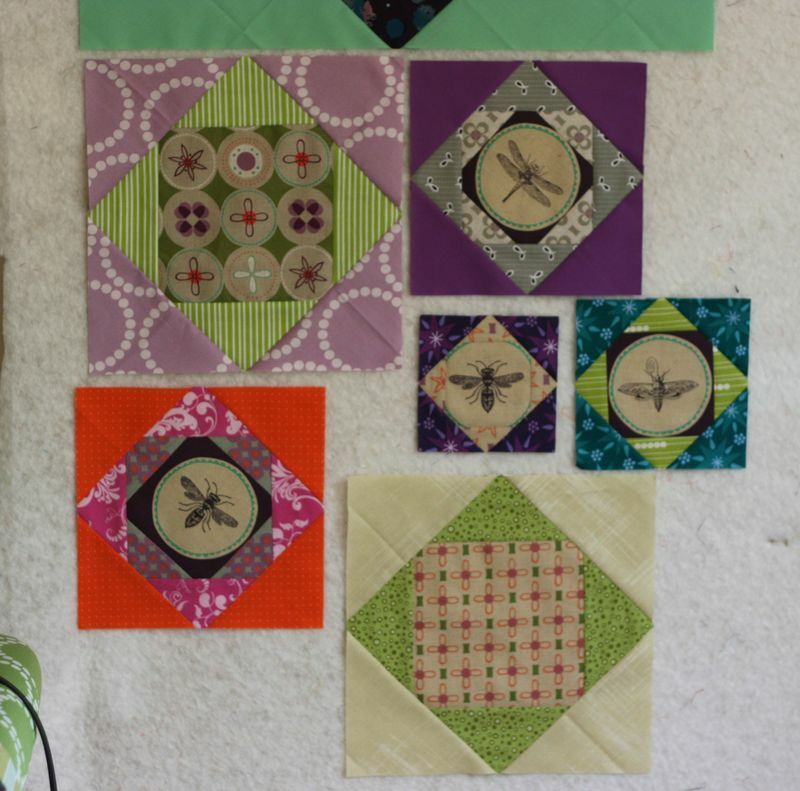 We all began with Melody Miller’s bee fabric, and added prints and solids of our own, and are sending them round-robin style to one another to add on bit by bit. 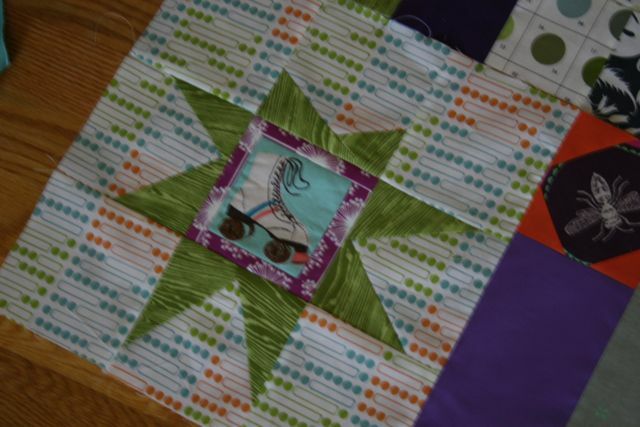 I’ve already seen sneak previews of my blocks over at Amber’s and cannot WAIT to see them come back to me! I don’t want to give too much away, but I did want to show off the colors and shapes in these two rows. They’re really vibrant and lovely, and he’s picked such great fabrics. I’ve been doing wonky stars of late (maybe inspired by the ones we did in February for the Trust circle of do.Good Stitches? ), and will tease that they do show up in my row–I know John likes both wonky and fussy cutting, so I worked to make some of these really special for him. The challenge with bees isn’t just that you’re sewing for someone else, but also that you want them to be pleased with what you’ve made, so the stakes are higher than, say, making a pot holder. There are only six of us in the bee (Ryan, John, Jenny, Amber, Sarah, and me), so we’ll have gotten through the round robin by July–I’m really looking forward to seeing mine come back home and laying it all out! Don’t they look just like scientific specimens or drawings hung on the wall? I love them. A lot. Amber posted this image of the blocks she’s made for me using a technique I learned from one of my fabric reps at Quilt Market–it’s a super, super simple pineapple block that involves ZERO measuring. Amber’s planning on putting up a tutorial, I think? I’ll keep you updated and share it when she does! 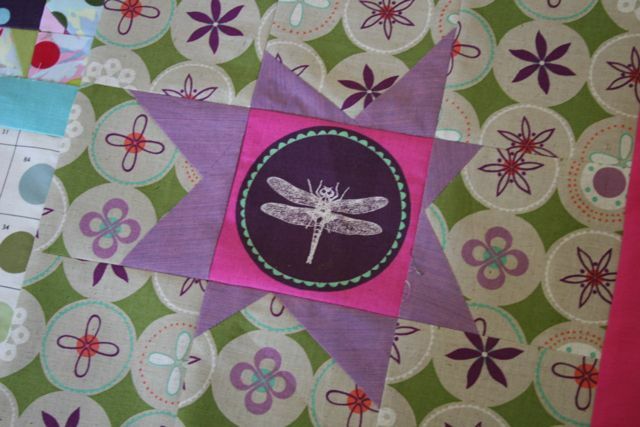 ← Sewing for Kids Weekend with Rae and Karen! I’m loving the sound of this Pineapple block with no measuring..I am the worst at measuring so this sounds right up my alley! The colors in those fabrics are gorgeous!